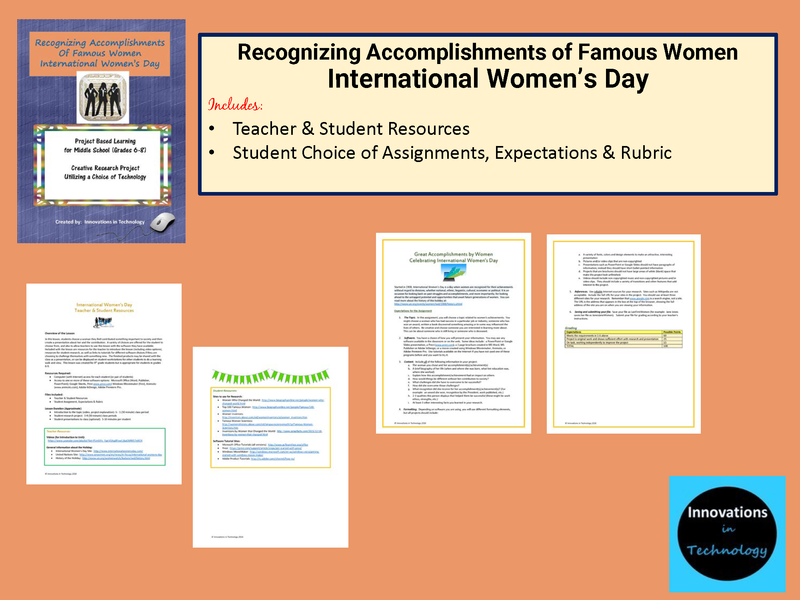 In this lesson, students choose a woman they feel contributed something important to society and then create a presentation about her and the contribution. 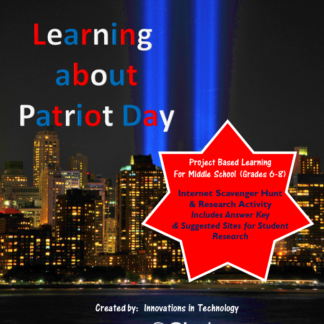 A variety of choices are offered for the student to choose from, and also to allow teachers to use this lesson with the software they have available. 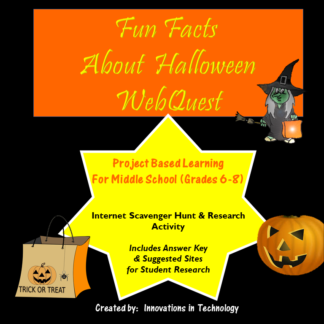 Included with the lesson are resources for the teacher to introduce the lesson (including video options), resources for student research, as well as links to tutorials for different software choices if they are choosing to challenge themselves with something new. 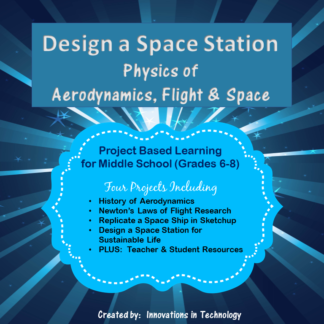 The finished products may be shared with the class as a presentation, or can be displayed on student workstations for other students to do a learning walk and view. 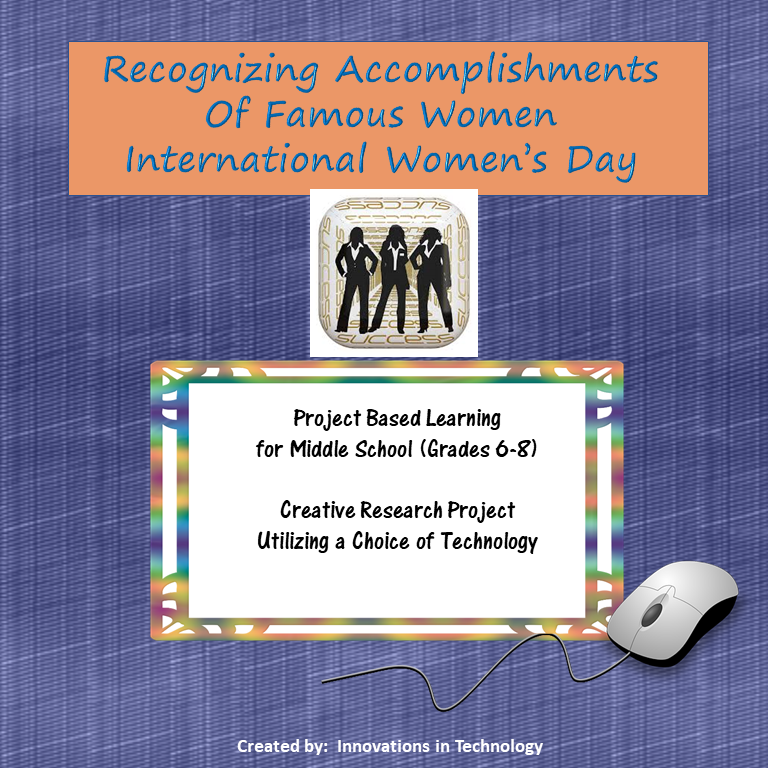 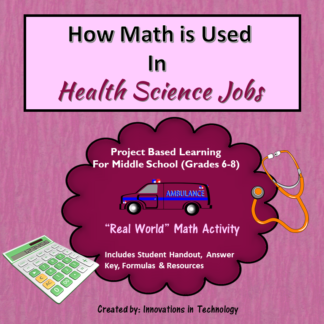 This lesson was created for 8th grade students but is appropriate for students in grades 6-9. Perfect for International Women’s Day or Women’s History Month.